Three lower storeys of the tower, including Norman arch. Chancel (narrower than today) with three lancet windows in North wall. 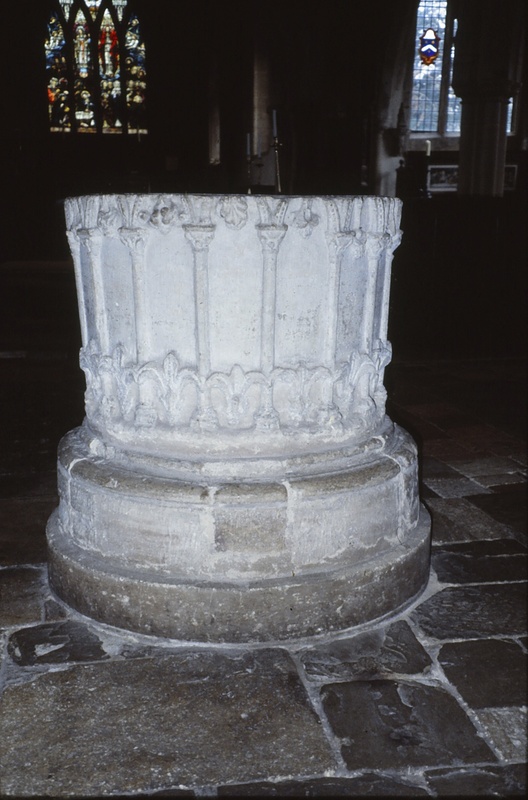 Norman font - The font, in the centre of the nave, dates from the second half of the 12th century and is sculptured with arcades and fleurs-de-lys. The Norman arch into the west door of the tower has several small Christian crosses incised into the stonework that are said to have been carved by the crusaders, either praying for (or giving thanks for) a safe return from the crusade. The second phase of church building was carried out by John Brouns from 1310-1325. At this time the nave and chancel arch were widened and the original side aisles constructed. Both the nave and the side aisles were then much lower than at present. It is noticeable that all the pillars and arches of the north and south arcades are the same except for the SE one. This arch is decorated with a saw tooth pattern and the pillar supporting it is quite different from the others. It is thought that this may have been the original chancel arch and that it was moved to this position when the church was widened. The Lady Chapel also dates from this period and was dedicated to the Brouns family who owned the manor. Re-building commissioned by John Brouns. Enlargement (widening) of the chancel with new chancel arch and wagon-shaped roof. Addition of narrow North and South aisles, with steep roofs. West window in South aisle and East & West windows in North aisle constructed. Window inserted in the South wall of chancel, nearest altar. The third phase of building was from 1480-1520 when the side aisles were raised, the nine perpendicular-style windows installed, the roof of the nave raised and the clerestory windows introduced, and the South entrance porch built. The latter is of Tudor brick and is totally out of keeping with the main body of the church. (If there had been planning regulations in the late 15th century this would never have been permitted!). Above the entrance porch is a small room, reached by a spiral stone staircase well worn by generations of feet passing up and down. In the early 18th century this was used as a schoolroom and schoolboy initials dated 1702 are carved into the fireplace. Walls of the Norman nave replaced by arcades with octagonal piers. Nine large perpendicular-style windows installed—four in South aisle, three in North aisle and two in chancel. Wine glass pulpit. 17th century. Donated in 1901 in memory of Lord Wantage. 1420-1443 Thomas Bekynton was rector. He influenced Henry VI over the founding of Eton College in 1441. Later he was Bishop of Bath and Wells until he died in 1465. 1495-1500 Reginald Mutt was the first vicar. The effigy in the Easter sepulchre is thought to be that of Mutt. 1646-? Thomas Fitch was vicar. He was a Parliamentarian in the Civil War and stored gunpowder and explosives in the church. These blew up and seriously damaged the church. He was dismissed under provisions for “The ejection of scandalous ministers”. In 1485 the Lord of the Manor, Lord Ferrers, was slain at the Battle of Bosworth. As a supporter of Richard III he was subsequently accused of high treason by Henry VII’s parliament. His lands and possessions were forfeited, including the Rectory which was transferred to the Dean and Canons of Windsor. From then on they became – and still are – the Patrons of the church. After 1495 the parish had a vicar rather than a Rector as the resident priest. 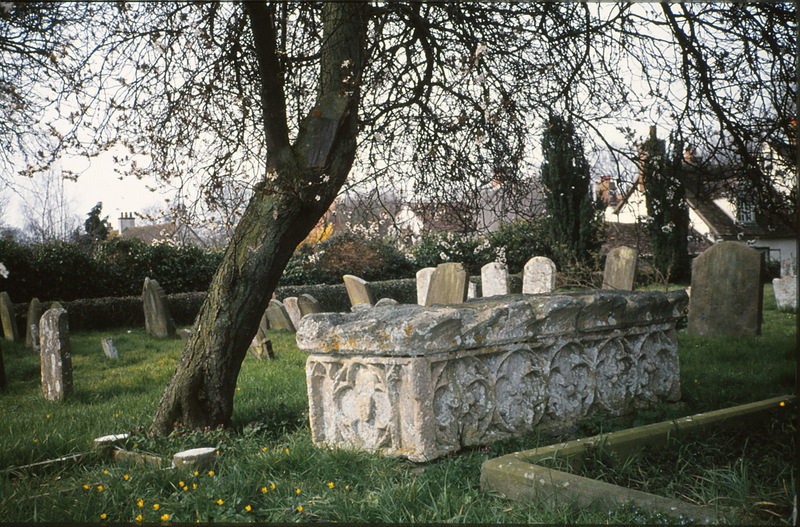 The first vicar was Reginald Mutt (or possibly Nutt); the tomb and effigy in the sanctuary are believed to be his. During the Civil War (1642-1646) the incumbent, Thomas Fitch, was a parliamentarian. He stored gunpowder in the church. This exploded in 1643, causing considerable damage to the stonework and blowing out the East window. Fitch was expelled from the church under “measures for the ejection of scandalous ministers”. After the restoration of the monarchy in 1660 the new incumbent demonstrated his loyalty to the king by having Charles II’s coat of arms painted above the chancel arch, with the Ten Commandments on either side. There may have been medieval wall paintings under the coat of arms. In the late 19th century Lord Wantage V.C. owned the Manor House which he purchased at auction in 1886. In 1895 he gave it, along with other property to his cousin Col. Lindsay as a wedding gift. When Lord Wantage died in 1901 Lindsay donated the 17th century wine-glass pulpit to the church in his memory, together with an inscribed brass plaque commemorating the gift. Until around 1970 there was a rood screen separating the nave from the chancel. This was then removed, opening up the vista, and the screen was used to construct what is now the vicar’s vestry. The former vestry on the north side of the church, built in 1961, is now used for junior church. The fine pipe organ dates from 1904 and was given in memory of the Theobald family. 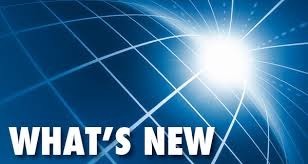 Sutton Courtenay has had two of its sons move on to high ecclesiastical office. Thomas Brouns, a descendant of the family that held the Manor and built the Lady Chapel in the 14th century, became first Bishop of Rochester and later Bishop of Norwich from 1436-1445. Thomas Bekynton, who was Rector here from 1420-1443, became Bishop of Bath and Wells (1443-1465) and there is a memorial to him in Penniless Porch at Wells. While at Sutton Courtenay he was Secretary to King Henry VI and is said to have been instrumental in persuading the king to found Eton College in 1440. A 20th century distinguished vicar was Revd. Gordon Dunstan (1949-1955) who later became Professor of Moral and Social Theology at Kings College, London. For his work on medical ethics he was awarded the CBE and made an honorary fellow of several royal colleges of medicine. Throughout the Middle Ages and later the Rectors (and Vicars) lived in the Rectory House, an early 13th century building situated a short distance to the South of the church. This house has important architectural features including a lofty hall with a minstrels’ gallery. In the 19th century it was re-named “The Abbey”, although it had no connections with Abingdon Abbey. All Saints’ churchyard is the last resting place of a number of notable 20th century residents, including an army general, a distinguished sculptor and an artist who exhibited at the RA. Among the most famous of its interments are those of Eric Arthur Blair, better known as the writer George Orwell, and Earl Asquith who was prime minister from 1908-1918. 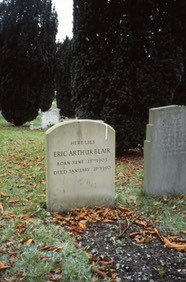 Eric Blair never actually lived in the village, but was a friend of David Astor (the proprietor of “The Observer” newspaper) who owned the Manor House and who arranged for Blair’s burial here as he had specifically requested to be buried in a country churchyard. In 1912 Herbert Asquith built a house in the village as his country residence, to escape the rigours of political life in London, and lived here until his death in 1928. He and his wife Margot are buried in Sutton Courtenay churchyard. 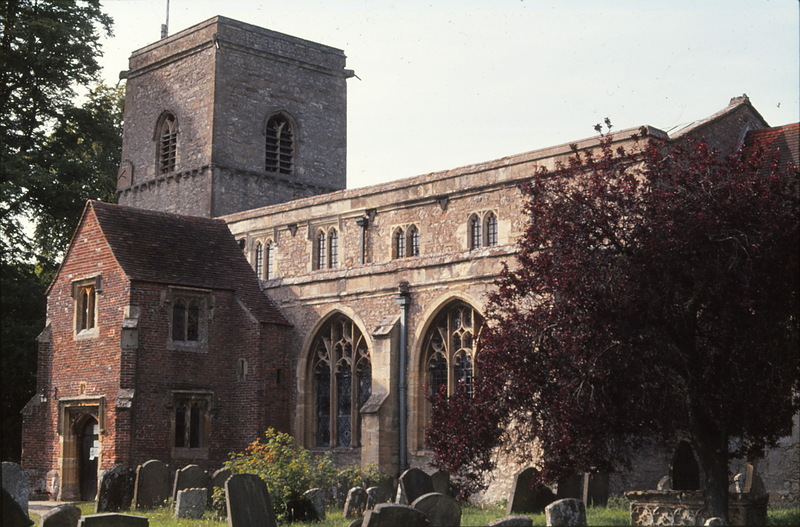 In summary, each century up to and including the 20th has left its imprint on All Saints’ church which may fairly be described as an historic church in an historic village setting.